It takes more than 75,000 sparkling lights to make the Franklin Square Holiday Festival & Electrical Spectacle Holiday Light Show into a reality every November. 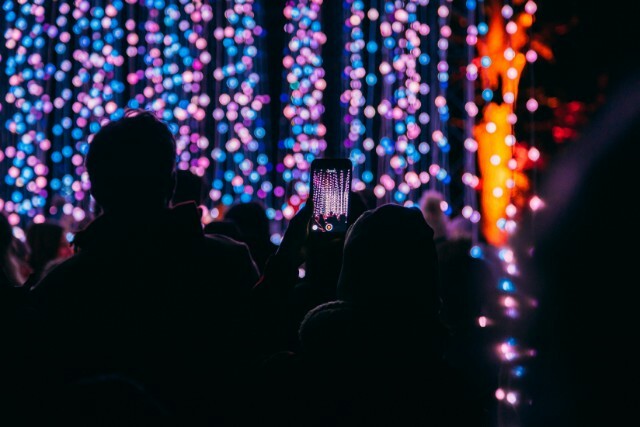 The popular light show returned for its yearly run on November 15th, and it will continue to monopolize most of Franklin Square until New Year’s Eve. It’s a fitting location for the festival and light show, given that Benjamin Franklin serves as its muse. After all, it was his creative mind that first discovered electricity—and the power of electricity is on full display at the light show. As an homage to Franklin, the shoe highlights an illuminated kite hanging over the heart of Franklin Square’s fountain. Watch a rainbow of colors dance across the illuminated kite and surrounding lights, all set to the beat of holiday music. Then grab a pint at the Winter Beer Garden or some grub at nearby restaurants. Admission to the light show and festival is free.